Assassin combines two truly unique parents. This sound, comfortable beast stands on a huge foot and great bone. 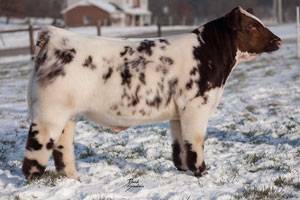 With his near perfect color and hair, what's not to love in this TH and PHA Free bull. Get in or get marked by the Assassin.